If you remember back to this photo of our new kitchen, you probably noticed that it is very... dark. 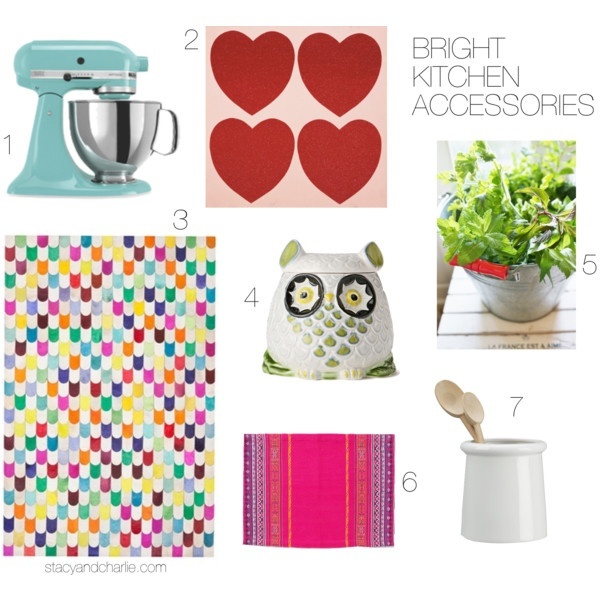 Because of this I'm going bright with our kitchen decor, using a little of what we had before, and adding some new fun accessories to cheer it up. 5// Plants brighten up the darkest spaces.